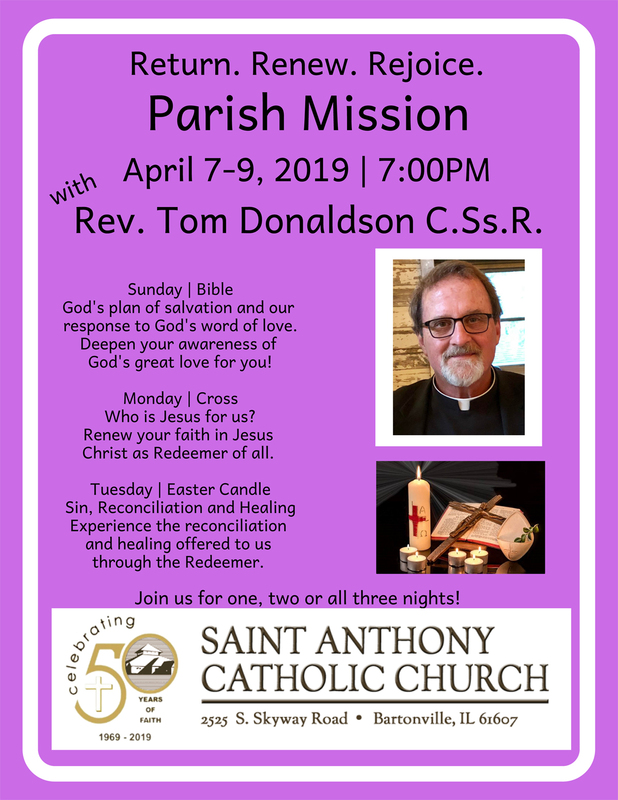 In very humble beginnings, in the theater of the former Bartonville State Hospital, a group of Catholic families began to worship together, forming the community that is today St. Anthony Catholic Church. That was in 1969. Today, set on a beautifully landscaped ten-acre campus, are the facilities that the parishioners of St. Anthony Church use to help in living out the Lord’s mandate to make the kingdom of God known to all people. It is our privilege to be a part of the Bartonville community. We together live, serve, worship and proclaim the faith that God has given us. We continue to build on the foundations laid by the early members of the community and invite current and future parishioners to join in our quest to be Sprit-filled. If you would like to join our parish click on the button below to register your family.